Diversifying could be make a big difference to fruit juice markets if the opportunity to follow the ‘probiotic’ high value shots have anything to go by. Shot-sized health-boosting juices are coming to the market. Consumers are increasingly interested in naturally-functional food and drinks. This increase in health consciousness, coupled with busy on-the-go lifestyles, has fueled innovation around smart, nutrient-rich snacking solutions. Tapping into this trend, health-promoting juice shots provide a quick, natural boost of nutrition in small to-go bottles. Though still niche, the share of juice shots in total juice launches in Europe has increased six-fold over the past four years, say Mintel. Nordic countries, led by Denmark, are taking a prominent role in juice shot launch activity in Europe. Of all juices described as shots/boosters launched between October 2015 and September 2017 in Europe, 39% were launched in Denmark. Germany, Norway and Sweden follow with 13% of launches each. Repeatedly referred to as ‘the healthiest countries in the world’, Nordic countries put a strong focus on wholesome, nutrient-rich and naturally functional diets with brands like ‘Little Miracles’ juice shot series. 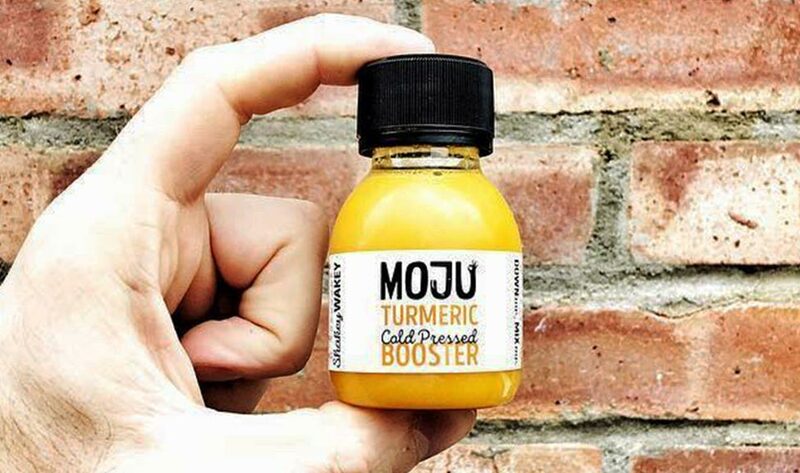 While in the UK interesting ‘garage’ brands like Moju drinks are calling the niche ‘performance shots’. Ginger dominates the scene in these products, but probiotic-rich ingredients are on the rise. Using concentrated doses of fruits, vegetables, plant extracts and herbs, juice shots are designed as a preventive measure to boost consumers’ overall wellbeing, but can also address specific health issues. These include boosting energy levels, supporting the immune system and digestive health, curing hangovers and relieving flu symptoms. Often combined with lemon juice, ginger is by far the leading ingredient in juice shot innovation. Dubbed a ‘wonder plant’, ginger has found its way into the diets of health-conscious individuals around the world, as it reportedly helps relieve pain and muscle soreness, lowers blood pressure and boosts the immune system. Meanwhile, fermentation is experiencing a revival in the food and drink sector, recognized for turning products into powerhouses of beneficial probiotics and friendly bacteria. Probiotics are linked with better digestion, improved immunity, and a range of other health benefits, fitting in well with the concept of juice shots. Beyond traditional ‘superfood’ herbs and spices, juice shot brands can profit from embracing fermented, probiotic-rich ingredients.